I have read your answer to email “Should Women Be Pastors?” and have a few questions for you. • Do you believe a woman can teach a man under any circumstances? • Do you believe women can be preachers? • Do you believe women can be elders? • Do you believe women can be deacons? • Are there any limitations for women in scripture? • Do you belong to any church (congregation)? 1. Do you believe a woman can teach a man under any circumstances? If a pastor or the spiritual leaders of a congregation ask a woman to come in under their authority and address a topic on their behalf, and if she maintains an attitude of submission and humility in the process mindful of the restrictions of 1 Tim. 2:12 (“But I do not allow a woman to teach or exercise authority over a man”), I think a case can be made for it. Also, if a woman is teaching women and a man wants to come in and listen, I think that’s fine since the scriptures do not prohibit a man from learning from a woman. The problem, as I understand it, is for a woman to be in a position of spiritual authority over men. 2. Do you believe women can be preachers? Absolutely—to other women. The Women of Faith conferences are a good example of that. 3. Do you believe women can be elders? No. 1 Tim. 3:2 states the requirement of elders being the husband of one wife. It is limited to men. The biblical pattern of spiritual leadership and authority in the church is of male leadership. 4. Do you believe women can be deacons? Yes, but this is not a hill I’m willing to die on. Romans 16:1 commends Phoebe as a servant of God, which can also be translated “deacon.” It also seems to me that 1 Tim. 3:8-13, which describes the qualifications for deacon, can and does include women. Even if they’re not called deacons, a lot of women serve the Lord through serving the church. This is how much of the work gets done, and since we are all called to service in one way or another, the needs of God’s people are met. People hung up on titles are focusing on the wrong thing; if we’re focused on loving and serving Jesus, it doesn’t matter if someone else puts a label on it. Personally, I believe a lot of women will receive the reward of “Well done, good and faithful servant” from the Lord regardless of whether they were ever called deacons or not. 5. Are there any limitations for women in scripture? restricts women from teaching or exercising authority over men. says that women are to be silent in the churches in a spirit of submission. My understanding is that this protects the orderliness of the worship and teaching times from the disruptions of inquisitive and verbal women. It also helps us to maintain an attitude of submission to the Lord and to the church leadership. However, 1 Cor. 11:5 permits women to pray and prophesy, so TOTAL silence is not what the above passage is prescribing. This call to silence is about not dishonoring the role of men as leaders of the congregation. teaches male headship in the marriage relationship and male leadership in the church. 6. Do you belong to any church (congregation)? Yes, I’m a member of Watermark Community Church in Dallas, Texas. 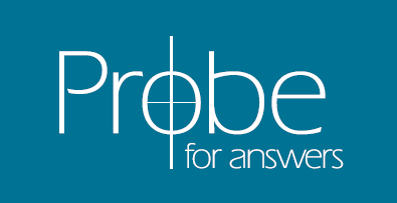 See Also Probe Answers Our E-Mail:• Should Women Be Pastors? • So Are All Women Pastors Deceived and Going to Hell? "Is the United Pentecostal Church a Cult?" "Should the Church Give Showers to Unwed Mothers?" "I Heard a Radio Teacher Say Not to Go to Church Anymore"
"Is It a Sin For a Christian to be a Soldier in the Military? ""Is It OK for a Christian to Train in Martial Arts?"